Positive self-talk is crucial in every sphere of life. It is also essential for effective communication. And effective communication is the foundation of good relationships all round. 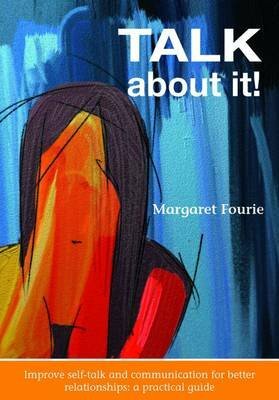 Now combined in one volume from Margaret Fourie's earlier best-sellers, break the silence barrier and so I told myself, this title provides you with the theory as well as a host of practical examples of how to achieve success on both fronts. Practical exercises in every chapter guide you in adjusting your self-talk to change direction and achieve your goals. Improve confidence and competence. Deal with abusive situations at home and at work. Stand up to difficult people. Cope with the overwhelming responsibilities of parenthood. Build trust and eliminate barriers to communication, and much more. Written with warmth and good humour by an excellent communicator, this title is essential reading for everyone from teenagers who claim their parents don't understand them, to the grandparents of those same teenagers who suddenly have to cope with being single again. By following the wise and practical advice in this title you can turn your life around. You only have to believe that you can, and you will.